First impression of my Egyptian Amber candle… beautiful!! The vessel itself was square with round edges and made of thick, heavy glass. The overall appearance had a sleek luxury feel to it. The wax – an all-natural and creamy soy with a well centered wood wick. The fragrance itself… smooth, exotic and down-right magical. Egyptian Amber has a rich base of vanilla, musk and sandalwood. It is well balanced by lively top notes of jasmine, lavender and orange. Mmmm! I can’t even begin to tell you how delicious this candle smelled. Not delicious as in you want to eat it but delicious in how rich, romantic and smooth it was. You can tell vanilla is the base of this scent. The main part is very creamy. Everything else… exotic and luxurious. Loved it!! Now let’s see how this candle performs! I lit this candle in a small room to start out and that’s where it stayed till the last drop of wax. I wanted maximum strength and definitely achieved that in a small room. Once the wood wick was lit, a full melt pool formed within one hour and the aroma…. sigh!! I don’t know how to describe this fragrance to you other than to say it’s a perfect sensual blend of creamy vanilla and amber. I didn’t smell any musk or floral… just vanilla with sweet amber and hints of sandalwood. Exotic. Creamy. Sensual. LOVED!! After burning this candle from beginning to end, I realize what a great name Shining Sol picked for this fragrance… Egyptian Amber. A fragrance fit for a queen. Strength – I would rate this candle a 10 out of 10 in a really small room. 6/7 in a medium room. Not sure I would try burning it in a large room due to the size of the candle. It’s a small candle and better suited to smaller rooms. This candle burned perfect. Zero wick issues. Clean burning from beginning to end. I loved Egyptian Amber and highly recommend this fragrance to everyone. I know I keep repeating myself with using the word “romantic” when describing it to you but it really is the perfect description. It’s the kind of scent you want to slather all over yourself before going out on the town or a candle you’ll want to burn on a warm romantic evening. It’s just so beautiful and yummy! Seriously…. I loved it!! Shining Sol keeps surprising me with each new candle I try. Great scent! Keep em coming Pete! I AM A SHINING SOL CANDLE CO, CUSTOMER. ALWAYS SURPRISED AT THE NEW SCENTS . HAVE NOT TRIED THIS SCENT YET. # 1 ON MY LIST. 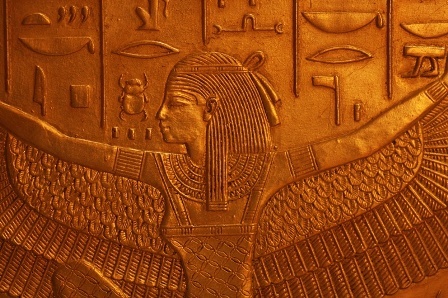 “EGYPTIAN AMBER ” . I MENTIONED TO PETE ONCE , SQUARE CANDLES ARE ROMANTIC TO ME. EGYPTIAN AMBER, AWESOME ! MY FAMILY REUNION IN JULY , WILL BE GETTING ONE. WOULD IT WORK IF YOU HAD MORE THAN ONE CANDLE IN A ROOM. ( DINING ROOM , 3 OR 4 ) , AMAZING SCENT ! WILL LET YOU KNOW RESULTS. 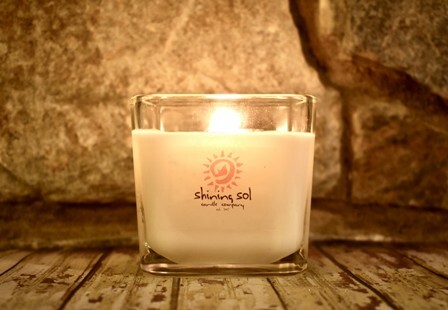 SHINING SOL IS THE MOST UNIQUE CANDLE CO. ONLY CANDLES I USE. GOING IN THIS WEEK.